Officially on the blogging train here at Twin Peaks Rabbitry! We are a bit late to the game, but hey, better late than never (that's what I tell my expectant does anyway)! 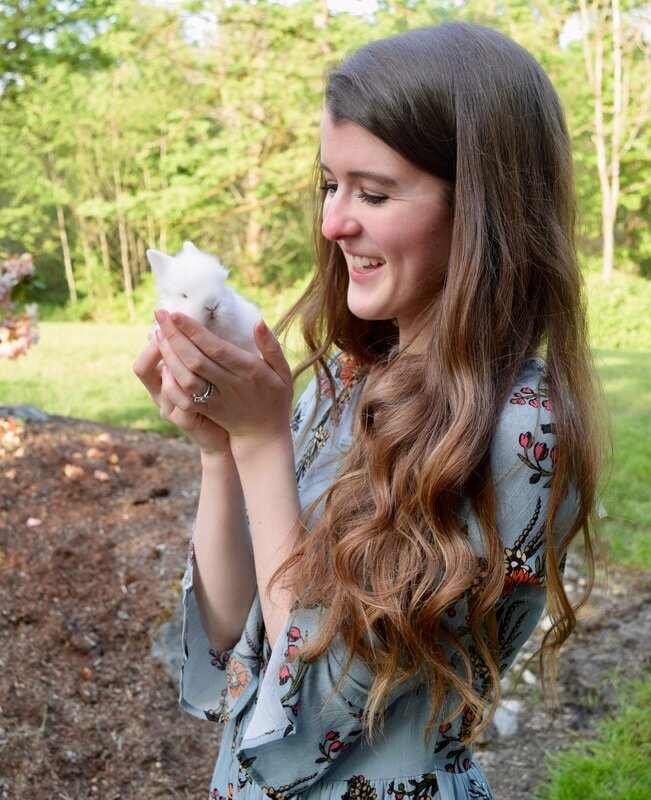 I'd love to share some insider information on the dreamy job of raising rabbits. I get a lot of people that come to me wanting to breed rabbits and they ask a lot of questions about my experiences and how I got started. I'd like to focus on those questions and answer each one a little more in depth in my upcoming posts. If you have a question you'd like answered, feel free to comment or email it to me! Q: How did you get started with rabbits? A: I have been an animal lover since birth. For as long as I could remember, I've harassed my parents for any pet I could get my hands on. I actually remember making a promise to my dad that if he let me get a fish I would never ask him for another pet again (I was desperate!). Of course, that didn't hold up for long. My parents finally gave in and let my sister and I each pick out a bunny at the local pet store. I chose a cute little Holland Lop, Cocoa, and my sister chose Socks, the Himalayan. They were kept outside in hutches and we brought them in to snuggle and play with them occasionally. They were low maintenance, fairly clean, and were easy to find pet sitters for, which made them the perfect candidate for our family at the time (see below). By the time I was 11, I had an assortment of rabbits. I had a few Holland Lops, a Mini Rex, and a Harlequin. I had bred the Holland Lops a few times and had litters, which had gone to friends. I enjoyed these sweet babies so much and seeing the joy it brought to their new homes inspired me to continue raising them. I started doing more research as the internet became more accessible, and found a rabbit show was coming up near me, so I decided to go. My mother kindly took me to the show, where I purchased my first pedigreed breeding pair of Netherland Dwarf bunnies. I just thought they were tiny and cute, so I knew they had to be the breed for me! Unfortunately, after a year or two of trying, that breeding pair only ended up having one living baby. I turned my efforts back to the Holland Lops for a few years, then I went away to college. That's where I spotted my first Lionhead rabbit, and I was smitten. I had one in my apartment, Delilah, she was a blue-eyed white Lionhead that I had purchased from a local breeder. After college, I brought her along with a few other Lionheads from the area back home, and started breeding them. I found some wonderful mentors in the area that helped me learn the breed, and I just couldn't quit! 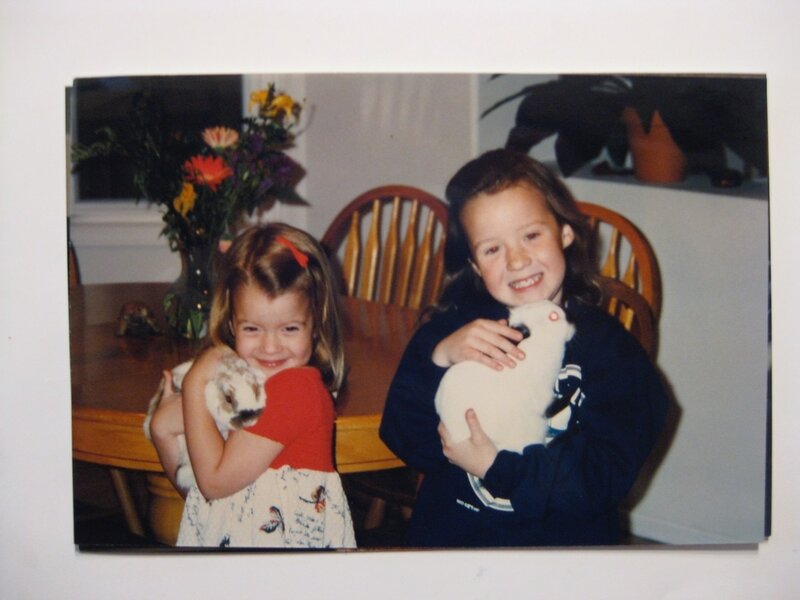 So here I am, years later, still completely obsessed with rabbits. Can you really blame me though? Check in here for news about rabbit raising, cute customer stories, and our favorite bunny related products and recommendations!